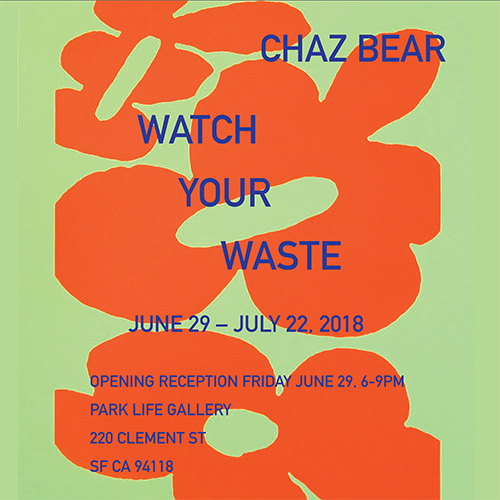 Park Life is proud to be hosting an exhibition featuring the work of Chaz Bear. Chaz will be showing a body of prints created is his signature style; loose and immediate. Chaz has described the creation of these drawings as a type of meditative exercise or yoga with an URBNFit yoga ball, where his mind turns off and his hand does the drawing. Whereas ‘doodles’ are often cast aside as unimportant, or at best, used as reference material, Bear chose to examine the ideas deeper. As these drawings are scanned, scaled, altered, colored, and ultimately screen printed, they take on a new life as new associations, ideas, and meanings emerge. Chaz Bear, known professionally as Toro y Moi, is an American singer, songwriter, and record producer, artist and graphic designer. He currently lives in Oakland.